Angel number 7 symbol resonates with the vibes of sapience, refreshing individuality, natural healing, mysticism, tranquil reflection and persistence. The dimensions of the Angel Number 7 symbolism uses the inner strength and endurance of the person who has spiritual awareness to award good fortune. A genuine understanding of the philosophy of others awakens (rebirth) perceptiveness and psychic development. The Angel Number 7 meaning represents wisdom, the seven chakras and the seven heavens, along with a need to connect with a spiritual force, which is purposeful. Keep your eye on the bigger picture – stay on your course of direction. Be encouraged and know that the outcome will be positive and free flowing. Angel number 7 as a recurring sequence shows that it’s time now to study and to master the inner self. At the same time make sure to mend the imperfections that lurk within. Self-control is the primary inclination when you see recurring 7s. 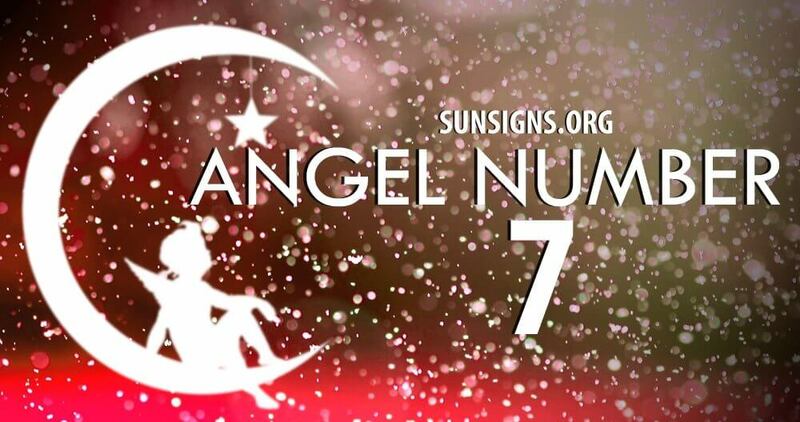 The Angel Number 77 symbol is a sign from the guardian angels who approve of the path you’re currently on. Your work is astonishing and solid. Your rewards will be just as spellbinding as your unhurried devotion. While seeing the repeating Angel Numbers 777, you should rest assured that your rewards are going to be more than just and fair. Divine guidance has recorded your inspiring work and your efforts are commendable. Be on stand by as your dreams could come true quicker than expected because of your positive and contagious attitude. You’re on the thrilling road to success, if you are seeing the angel numbers 7777 repeat themselves. You’ve made the Universe smile with your startling and winning attitude. The repeating numbers say that hard work is getting ready to meet fruition. The four 7s ensures the attainment of your wishes, possibly on a level that will amaze you.